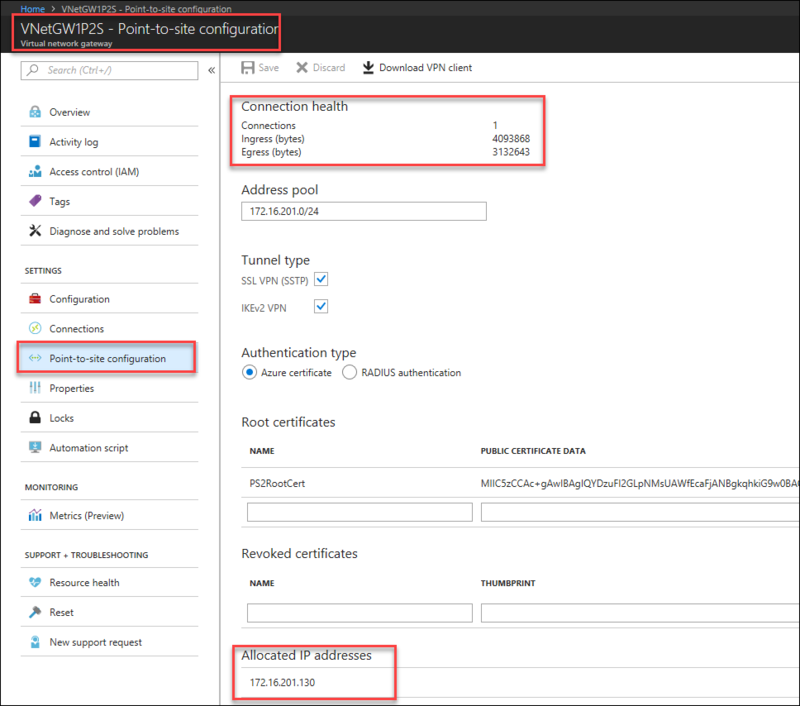 $profile=New-AzureRmVpnClientConfiguration -ResourceGroupName $RG -Name $GWName -AuthenticationMethod "EapTls"
C. If you’re not using a DNS server in addition to Azure’s default DNS service, adding the name and IP address to the client computer’s hosts file (C:\Windows\System32\drivers\etc\hosts) will allow remote connections via IP address or host name, by mapping IP addresses to host names. 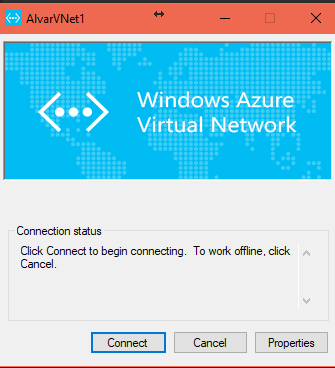 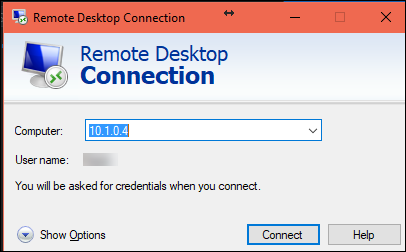 Adding the client’s assigned Gateway App Pool IP address and name to the hosts file of an Azure VM will allow connection via IP or client name – good for verifying the connection from the Azure VM to the client. 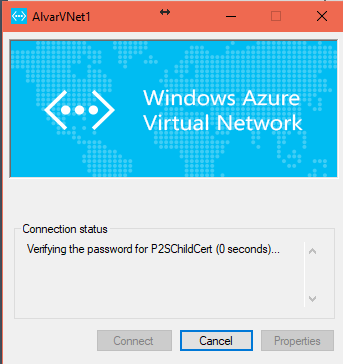 However, each time the client computer is restarted, a new VPN connection must be made manually, and the P2S Gateway allocates a NEW IP address from the address pool – so the Azure VMs hosts file would have to be updated! 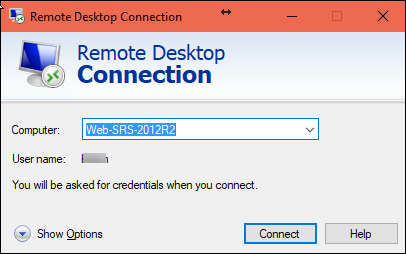 The P2S Gateway is always ‘on’, but VPN sessions won’t persist if the client computer leaves the VPN network.